Can you believe it? It is that time again: Back to school! 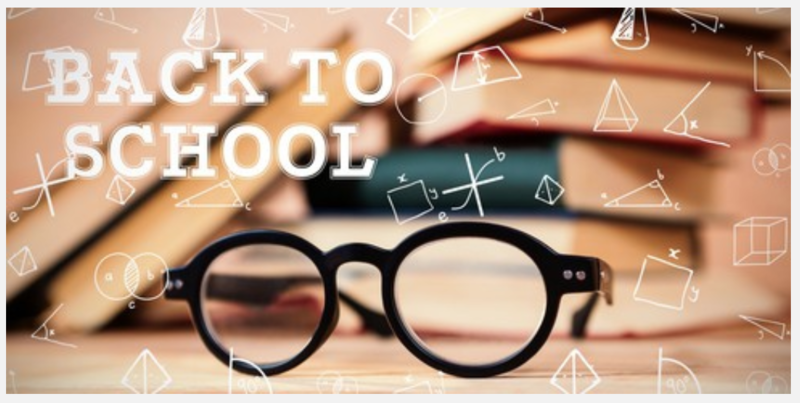 Getting your kiddos ready for back to school involves some planning. Most of us do the usual: shopping for school supplies, new clothes and shoes. We even make sure various health appointments are done routinely; physicals and dental appointment, but how many add ‘eye exams’ to their health checks? 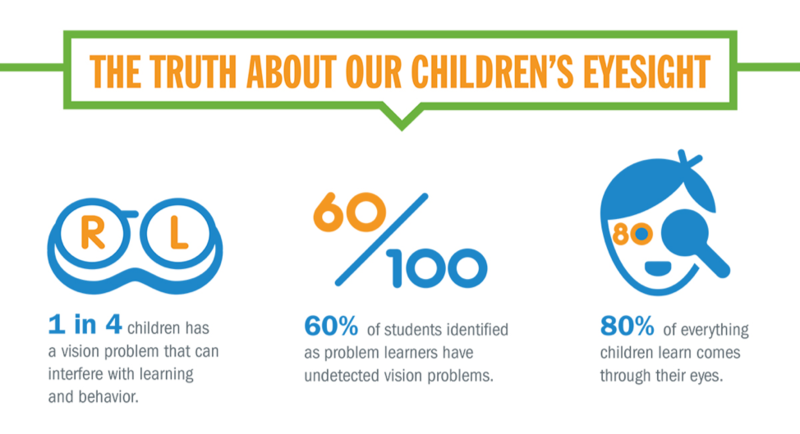 The health of a child’s eyes often gets overlooked. Many parents assume that if their child is not squinting or complaining that they cannot see then there is no cause for concern about their vision. I hear many parents say, “My kid’s vision is good. They haven’t told me of any issues and I haven’t noticed any problems.” This is usually a good thing and may mean their eyes are ok…but how can you be sure? Many children can have 20/20 vision, but have issues with the eyes working together, which is critical for reading and other near vision tasks. Some children may get misdiagnosed as having ADHD. If their eyes don’t work well together, it poses a major issue with reading skills and comprehension, and thus they may not want to sit and listen or do near-sighted work for extended periods of time. Remember, your child can’t explain that they have a vision problem – they have no understanding of what it means to see properly! So don’t leave their eye health up to them; make sure they get a comprehensive eye exam every year! Aren’t the school vision screenings able to detect problems? Yes, they can detect some problems, but screenings often miss more problems than they can catch. Most of these screenings are simply that…a screening. These screenings may miss how the eyes work together and overall eye health. Most screenings basically are for vision checks only, meaning, it measures if your can your child ‘see’ the eye chart, not how the eyes team or work together. 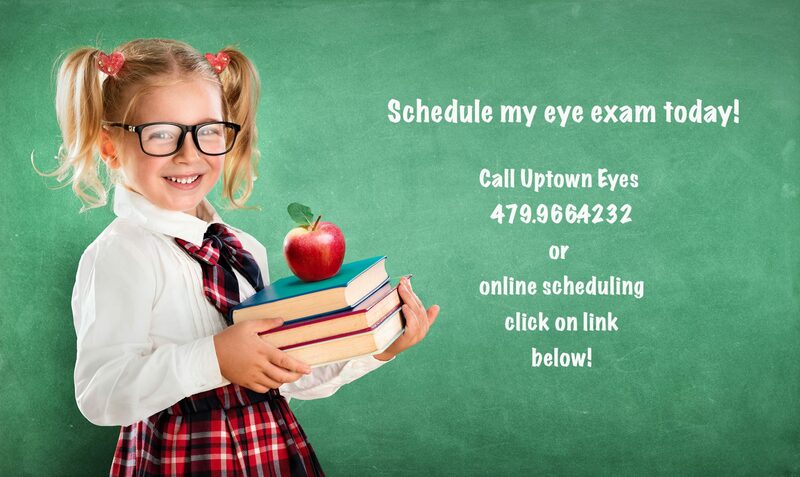 To make sure all aspects of your child’s vision and eye health are checked, a comprehensive eye exam is necessary. Q: When should I have my child’s first eye exam? A: Even children as young as six months old should get a comprehensive eye exam! While the need for corrective lenses may be quite unlikely at this age, this age is when the eyes begin to develop most rapidly. A comprehensive eye exam should be scheduled to make sure that development is occurring normally and that both eyes are functioning individually as well as working together. An exam at this age could detect problems that, if not discovered early on, this could lead to visual impairment later in a child’s life. Q: What is a dilated eye exam? Will my child need to have their eyes dilated? A: Dilated eye exams are performed for all new patients. It involves the doctor putting dilating eye drops into the eyes. These eye drops will make the pupil (black part of the eye) enlarge and stay large for approximately 3-4 hours. This allows the doctor to be able to view the health of the inside of the eyes without the pupils getting smaller due to light. Another reason for dilation is to assess the prescription without our ‘auto focus’ muscles interfering. This helps the doctor determine a more accurate prescription in some cases. Q: Are vision issues hereditary? A: Some eye health issues can be hereditary. It is important to let your eye doctor know if anyone in the family has a ‘lazy eye’ (amblyopia), strabismus (eye turn), or any eye diseases. ONLINE APPOINTMENT SCHEDULING AVAILABLE HERE!